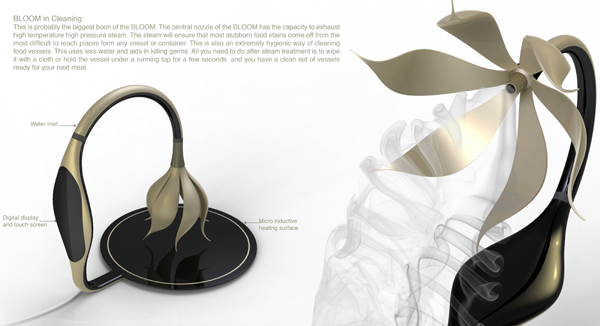 Bloom isn’t at all what you might expect a kitchen appliance to look like, but don’t be deceived by its soft, floral aesthetic. 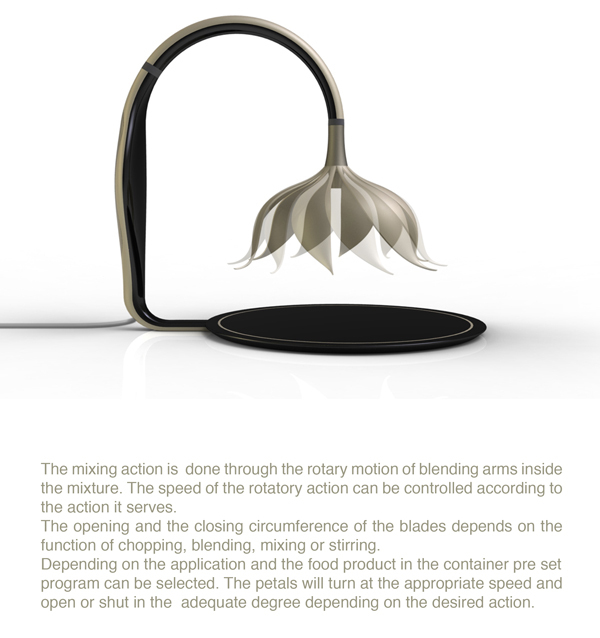 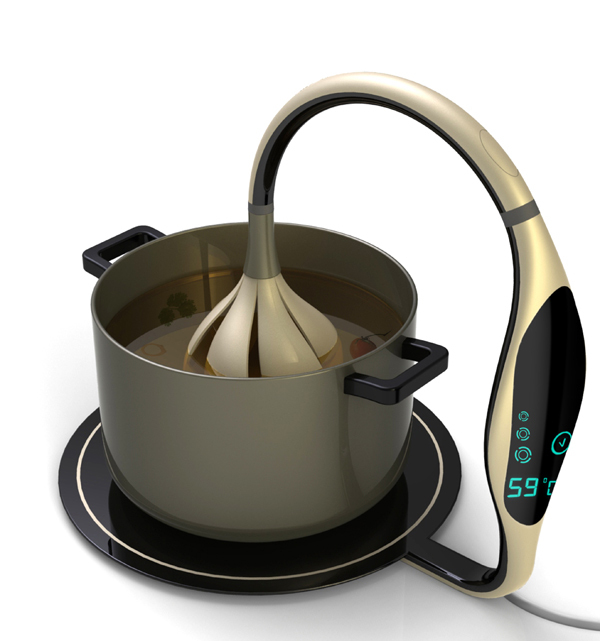 The multifunctional design chops, heats & even cleans up after itself! 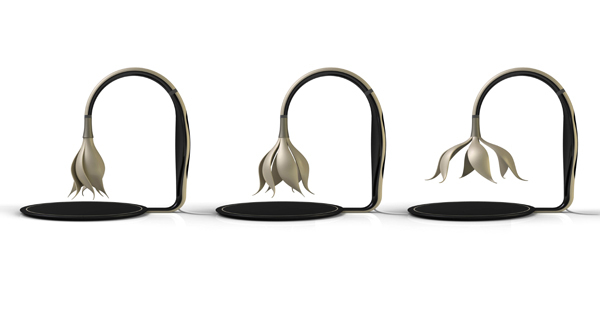 The “petals” are made of strong, heat resistant, non-stick material that spin to stir or chop food that’s being heated by the base. 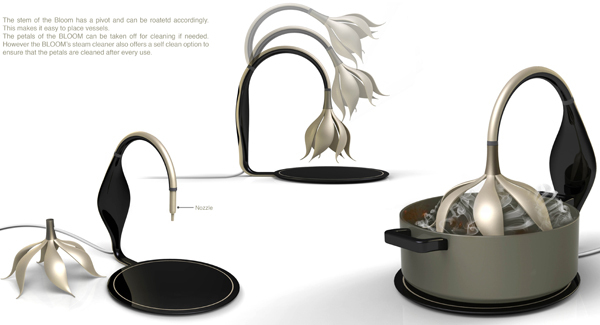 When the cooking’s finished, just activate the steam cleaning nozzle located in the center of the flower to remove stubborn stuck-on food particles!